Over the years I've taught myself the basics of a few crafts, sometimes on my own or often with the help of friends. Woodworking though has always been a struggle for me. I can normally beat a piece of metal into submission fairly well but wood demands a more co-operative approach and I find that frustrating at times. This project came about as an effort to rectify that situation. Rejoining the Vike and returning to public events after a few years absence prompted me to start making stuff again which inevitably means more stuff to move and transport. 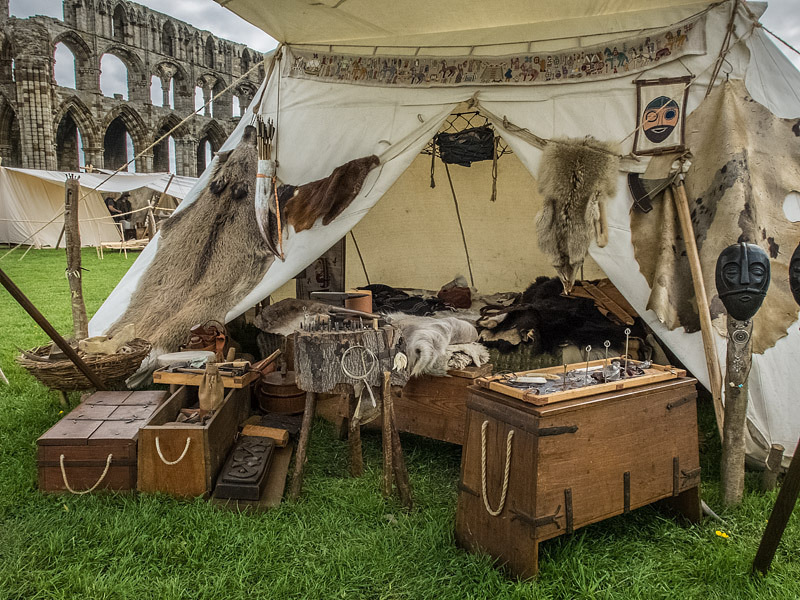 For the most part, I carry my stuff around in wooden boxes based loosely on a Viking age tool chest found at a place called Mästermyr. 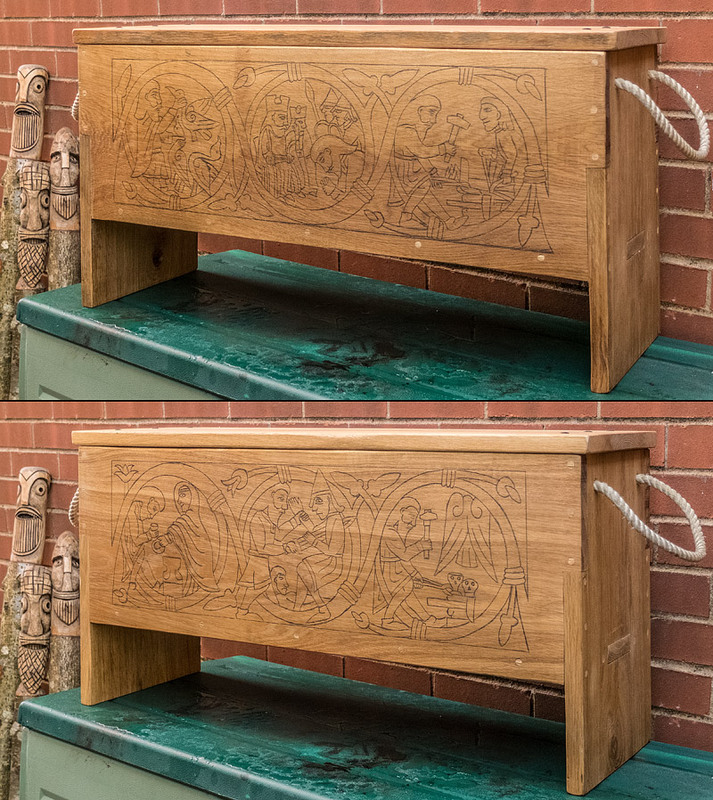 This six board method of making chests seems to have been commonplace in the early medieval period and suits my needs well. Discovering that my local DIY store had started selling natural oak boards, I decided to build a new box. 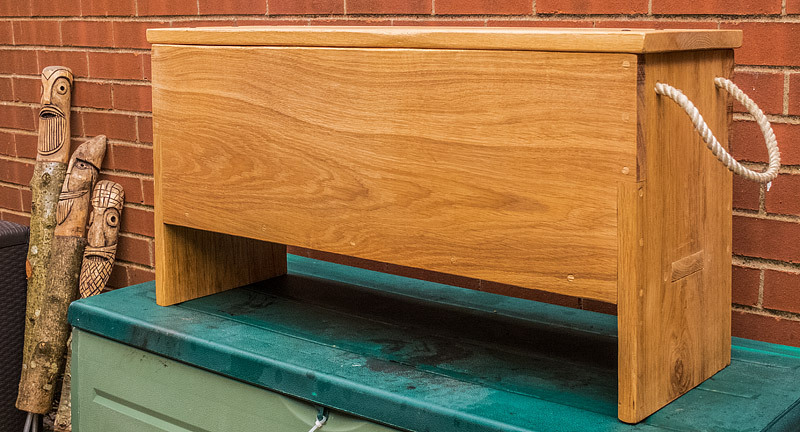 As the oak was quite thick and therefore heavy, and as I had no other practical way to reduce the thickness, a plan slowly hatched that there might be enough material to do some deep carving on the surface. 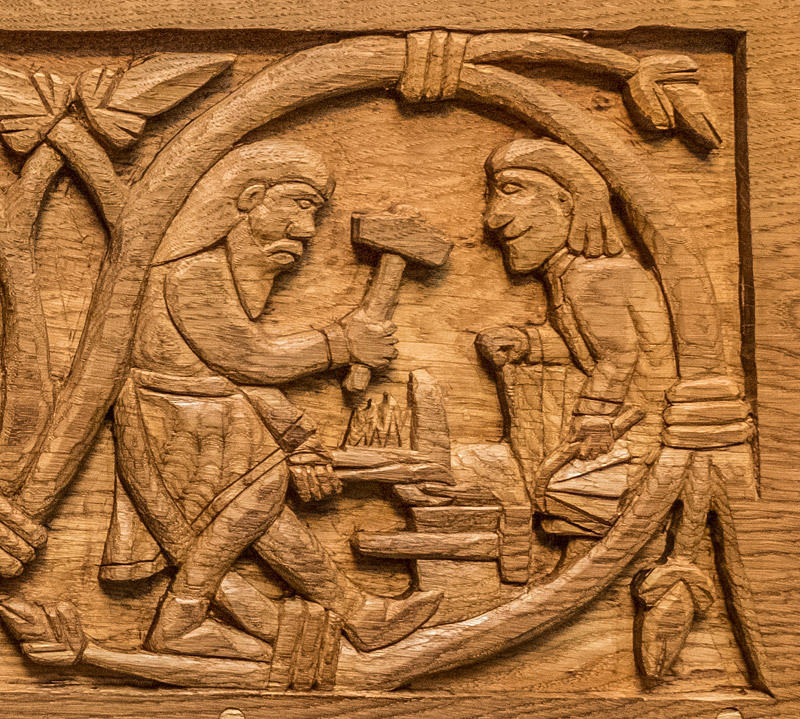 The Vikings liked carving wood. I suspect it may have been their finest art form but sadly wood does not often survive well in the ground so much of it must have rotted away. 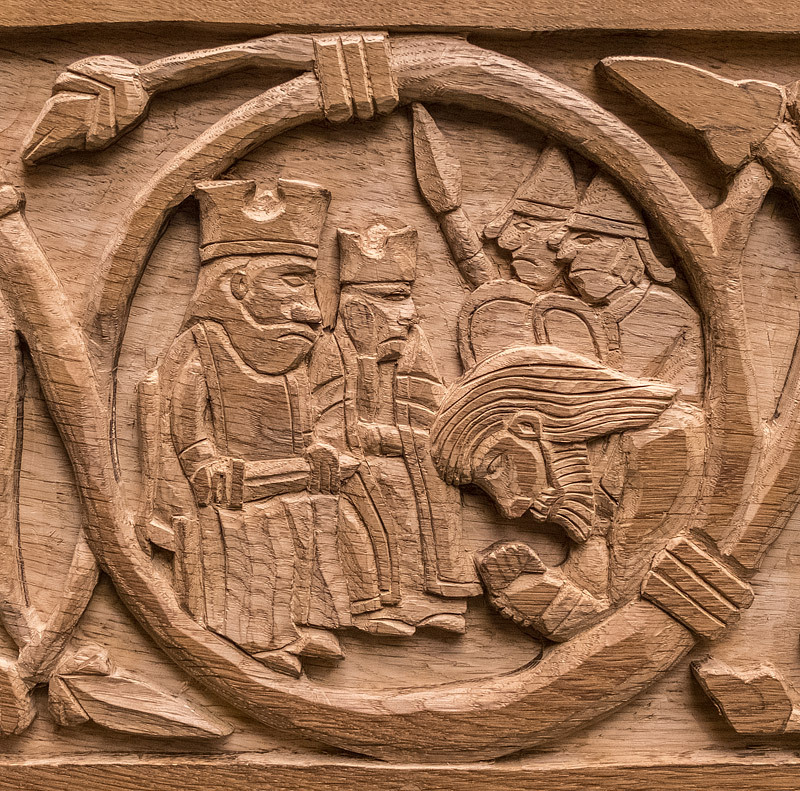 The Oseberg ship burial was placed in ground conditions which, remarkably, preserved some astounding quality carvings but apart from rare and often accidental finds the next best source we have are the wooden stave churches which survive in a few places in Scandinavia. 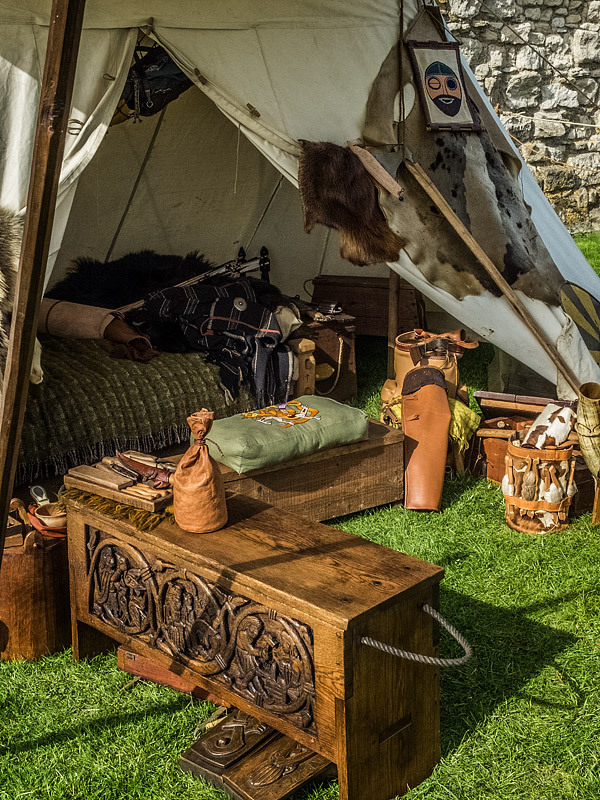 Most of these are slightly later than the Viking period but they do give us a flavour of the tradition of carving that must have existed. 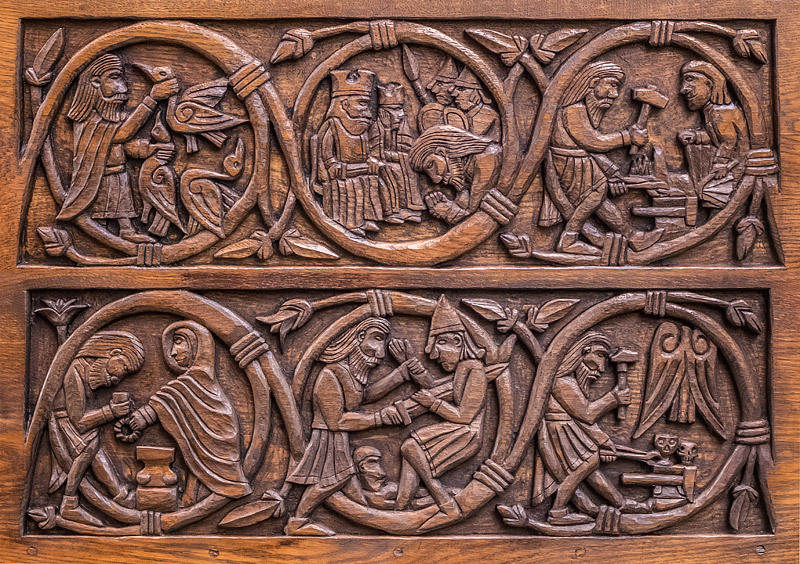 One such example is a portal that survives from a church in Hylestad that is now housed in the Kulturhistorisk museum in Oslo. 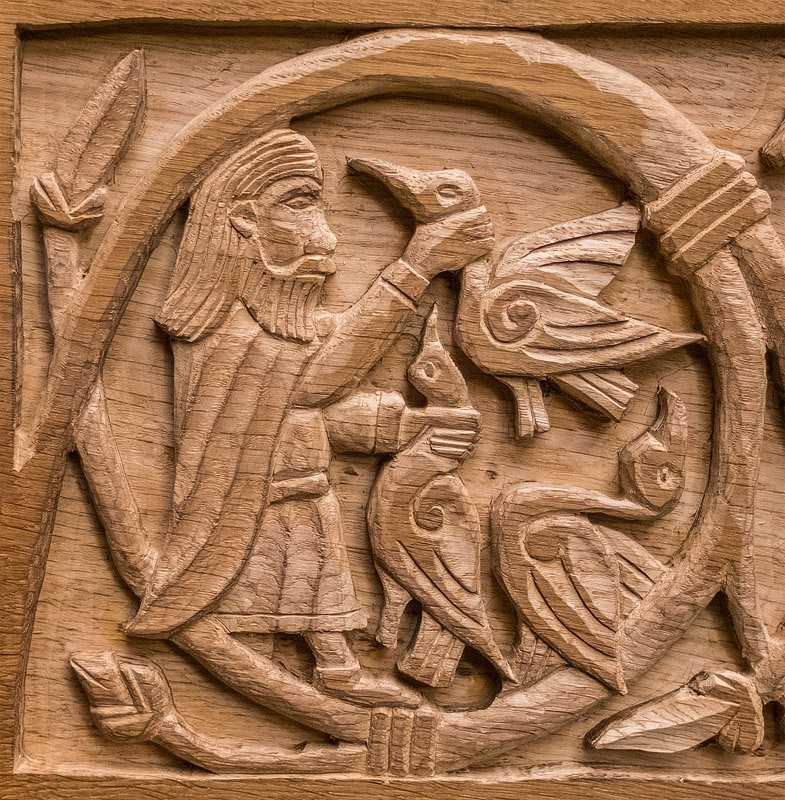 The portal illustrates the story of Sigurd the giant slayer and dates to the 12th-13th Century so although the story is old enough, the style of art is slightly too late for me to copy directly, but it did give me an idea. As some of you know, I have been widely known as Wayland for many years. This is not just as a simple connection between the legendary smith and my penchant for bashing metal but also because of my surname, Waidson, formerly spelt as Wadeson in our family history. According to some historical sources, Wayland the Smith was the son of a giant called Wade which in effect would made him a Wadeson too. A legendary ancestor of sorts. There are one or two pictorial sources relating to Wayland ( or Volund as he is known in Norse sources.) but nothing as complete as the Hylestad portal. The most relevant one for my purposes is the Franks Casket. 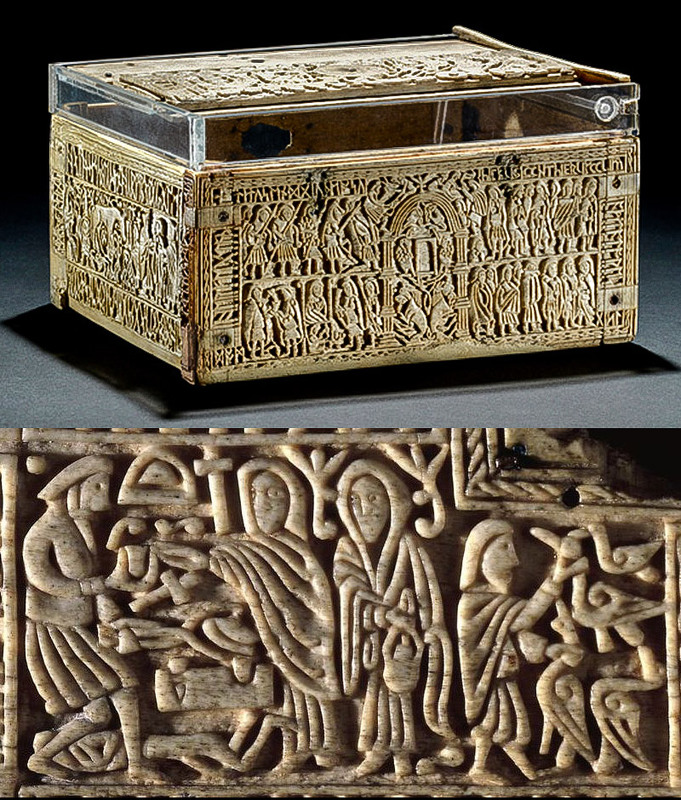 This small carved whalebone box has several scenes on it but one covers a couple of episodes from the story of Wayland and it dates from the 7th or 8th Century. 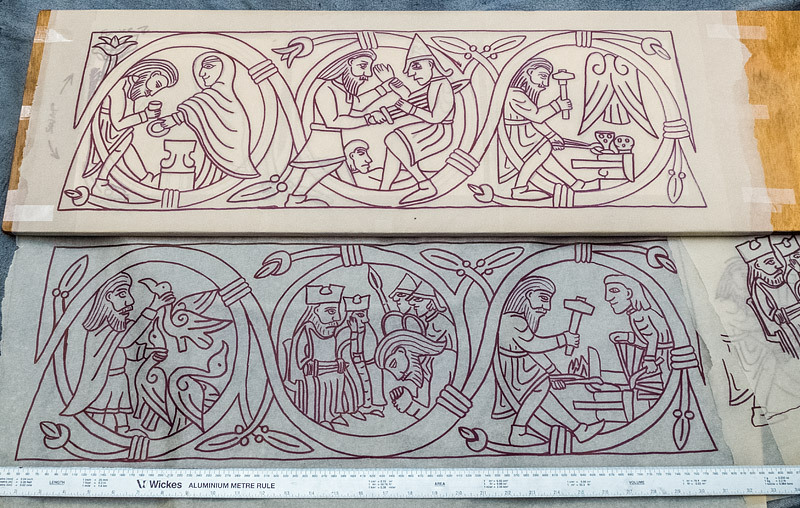 The Casket shows Wayland capturing the feather fetches of three swan maids ( Valkyrie ) on the right and later, while a captive of King Niðuð, seducing Blöðvildr, the King's daughter on the left, with one of her dead brothers shown under the forge. 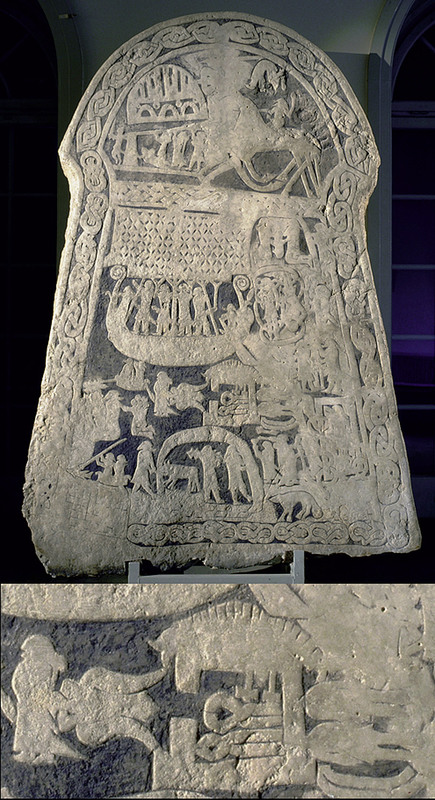 Another useful image comes from Runestone VIII at Ardre dating from the 8th or 9th Century. 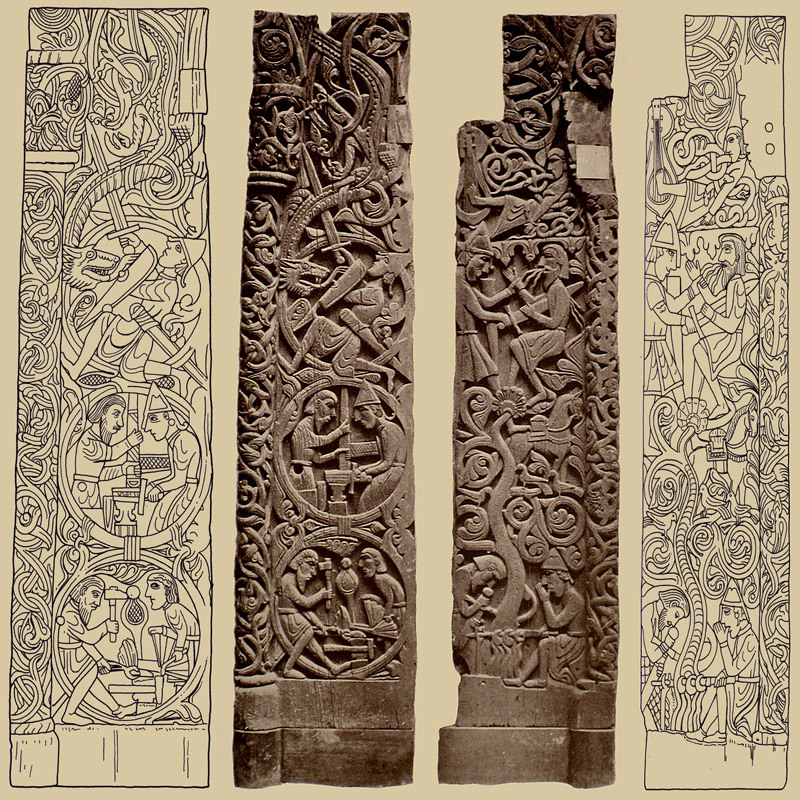 This image shows a similar scene with Blöðvildr leaving on the left, the dead brothers on the right and Wayland using a feather fetch to escape between Blöðvildr and the forge. 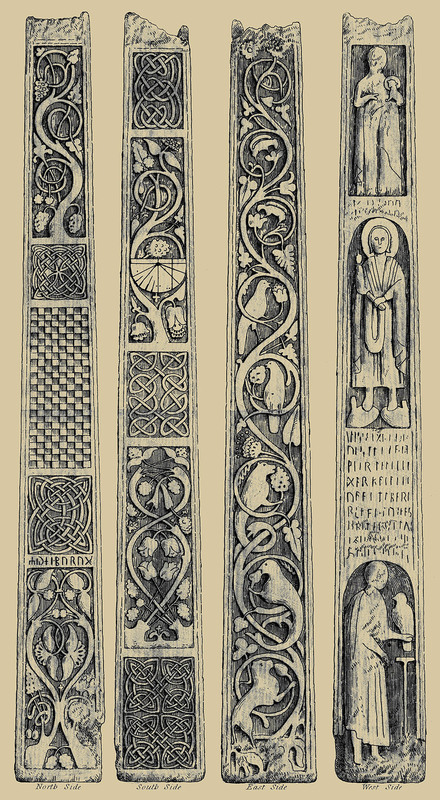 I also used a stone cross shaft from Bewcastle dating from the 8th-9th Century to influence the art style of the border and give it a more British provenance. 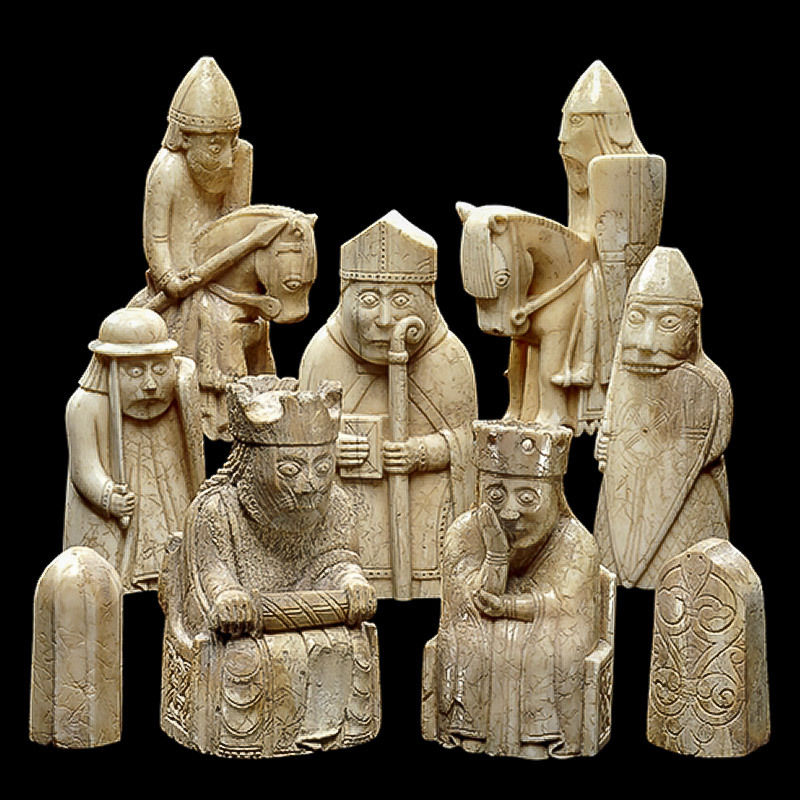 The only part of of the artwork I now needed for the story were a King and Queen, which I borrowed from another late source, the Lewis Chess pieces. The resulting design was developed using greaseproof paper as a tracing film, working through different versions, refining the design on each re-drawing. 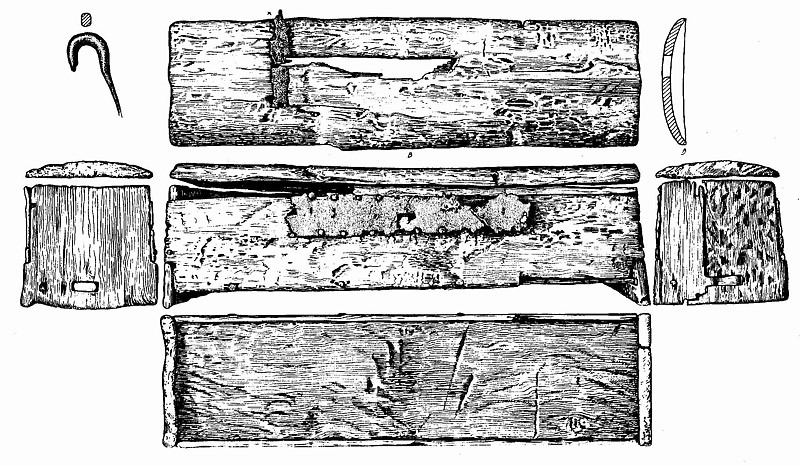 A process which gave me a new respect for our ancestors that would have had to work directly on the wood, probably with charcoal. I then used black carbon paper to transfer the design (almost final) onto the sides of the chest. 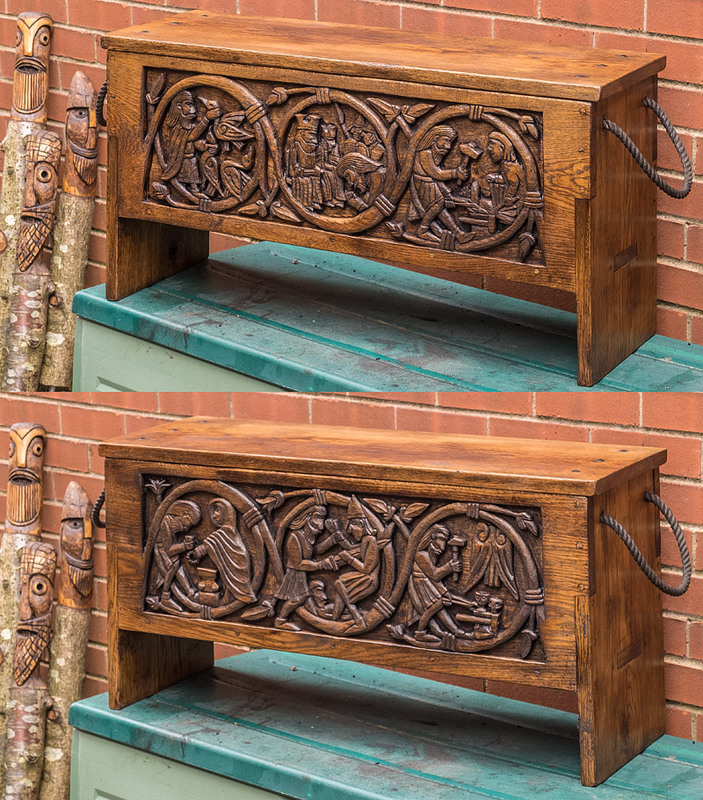 Very nice, I'm looking to work on one of these myself at the moment but more along the lines of the tool chest. You mentioned using a few of these yourself, would you mind posting photos foor a browse? I look forwad to the finished result! I don't seem to have a picture with them all in but there are a few in here so it gives you an idea. The one on the floor, left of the anvil block is the closest in size to the Mästermyr box but non are an exact copy. Current progress on the new one. Just rounding out the foliage elements and sorting out what goes in front of or behind what. Nearly finished the first scene, Wayland taking the feather fetches of the Valkyries. This is the next part almost finished. My hands are getting tired so I thought it best to stop for the day. 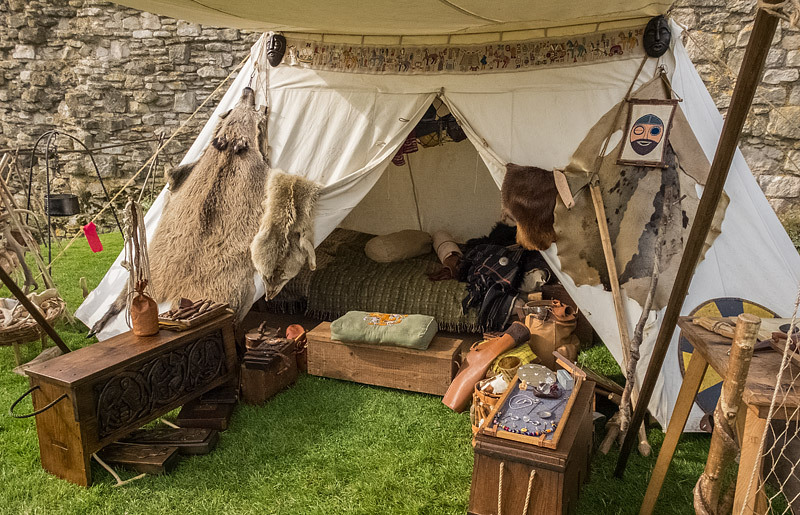 Here Wayland is brought before King Niðuð, has his sword stolen and is then hamstrung on the orders of the Queen and forced to work for the King. The figures in the background are the Princes who come to a sticky end a couple of scenes further on. The next bit almost finished. The hair detail needs fresh fingers so I'll do that in the morning when I'm less tired. The difference in colour is due to lighting conditions. They are much the same in real life. Not sure why you are getting a problem with the pictures Frances, they are all hosted on my website. Hopefully you can see these. All finished and given a coat of oil and tar. And in it's natural environment.